[Edit: due to the interest being expressed in this post, I'm looking further into making this bow. Or, my mind is, at least. I've been busy doing unimportant things and neglecting what really counts. I'm trying to get back on track, though, and intend to start today. I made lots of new products lately, and I spent the entirety of yesterday either making scones, responding to a single email, or creating new listings. My writing has been neglected, despite the fact that I am at an exciting bit to write - not a boring explainy bit - but I intend to get back to it this evening. It doesn't help, though, that I've found so many spelling mistakes and stupid bits that make no sense in the actual book of the first novel, despite it being my sixth read-through. It's getting me down a bit, but I have to continue. Well, I've finished with Oblivion (never did get that final achievement, I was too pissed), and moved onto Skyrim. There are lots of things I want to make and buy, some of which are ridiculous. I decided I wanted to buy a bow - a decorative one, not a functioning one, but all I can find are elven ones. 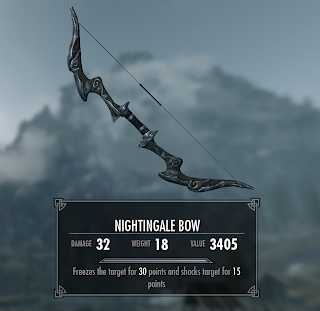 As nice as elves can be, their bows are pretty dull. 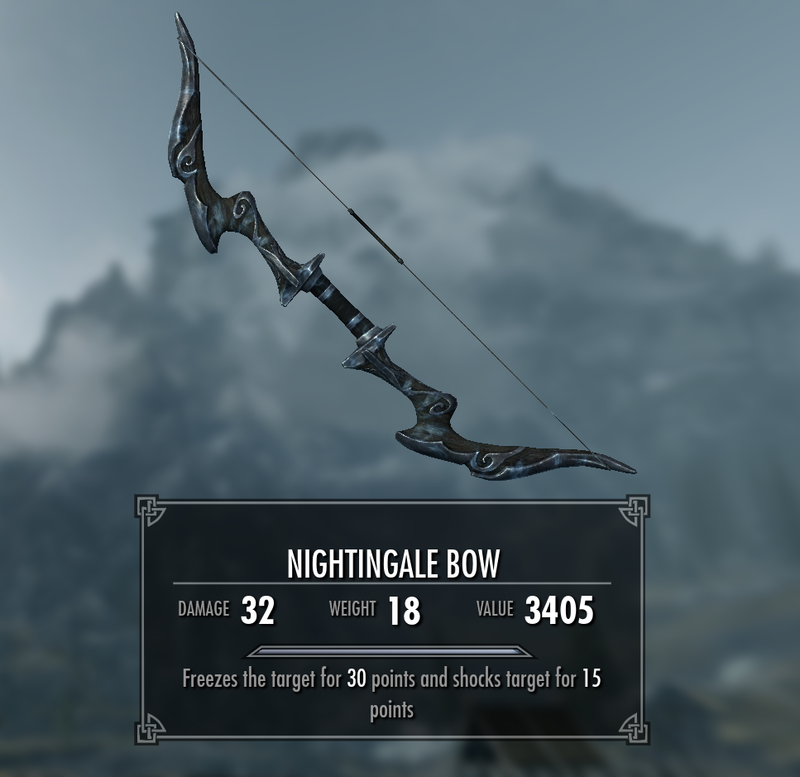 No, I had daedric bows in mind, but I could find nothing remotely similar. So then I decided to make one myself. Yes, I must be mad. The plan is to buy the upper and lower limbs of a recurve bow, a bow string, and cut some wood to make a riser appropriate to the design I want. Then, once that's fixed together, I will sculpt air-dry clay onto the limbs to make it look closer to what I want. This won't go well, but I figure I have little to lose in trying. It's the only way I'll get a bow that looks that spectacular. I already agreed with Seeg that I can make this if he can have some samurai swords. That was hardly a difficult decision on my part, but there we are. If and when I begin, you will all be sure to know. I don't have much to report, anyway. I've started a new exercise DVD, and I've bought another one on top of that. Fortunately, they're cheap as chips. I need a yoga mat, and I'm trying to get myself interested in salads again. It's difficult, though, to know what's healthy and what's not these days. Fat-free doesn't always mean it's the healthier option, and I'm not trying to just lose weight, I'm trying to get fit, too. Anyway, enough of that useless post. I apologise for a lack of a Project 52 post - the project wasn't finished. It is now, so I'll post it on Friday. As for my gypsy caravan, I ran out of PVA glue, and I tried to use flour, well, that didn't go well.